Funny the Tesla isn’t plugged in. If you get a “Variable CFLAGS is recursive.” error when doing a portupgrade -ra on freeBSD, it appears the make file is broken. 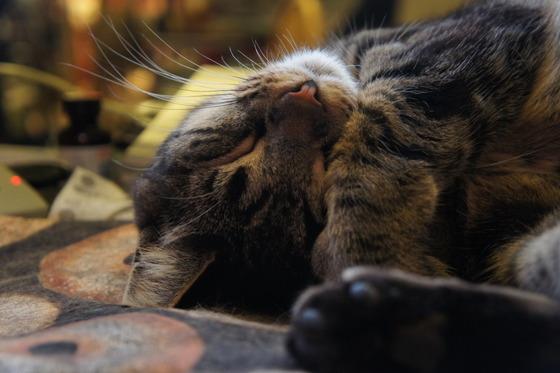 “break19” debugged it in this post. his fix worked for me. Yes, the fire truck is on fire. I smelled burning plastic from across the street and looked up to see a smoke plume coming out of the passenger cabin of the ladder truck across the street. They seem to have put it out before the truck burned. They are firemen after all. 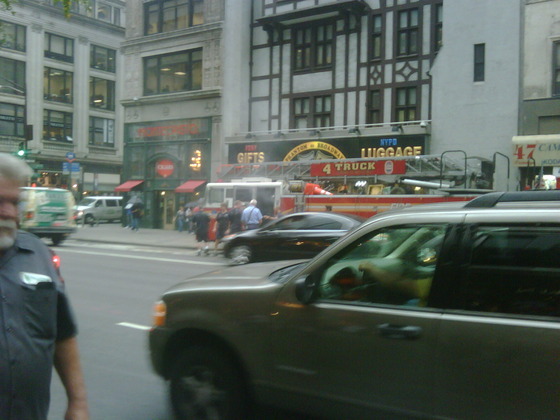 Even better, it is parked in front of FDNY gifts. There’s been an interesting newskkake and premature twittergasm of commentary on the pre-publication announcement of results from an experiment at CERN that suggest that neutrinos traveled from CERN to Italy faster than the speed of light. The announcement reminds me a bit of absolutely unbreakable quantum cryptographic key distribution where the theory was strong but weaknesses in any real detector make Eve’s job easier than theory would suggest. As the CERN paper was published in the last few hours atarxiv.org none of the reporters who’s breathless reports are generating so many tweets actually read the paper they are reporting on. Remember what happened when UT issued a press release before the paper was peer reviewed. The CERN measurement isn’t that far off the 2007 MINOS measurement of 0.0051% +/- .0029% (v-c)/c%. 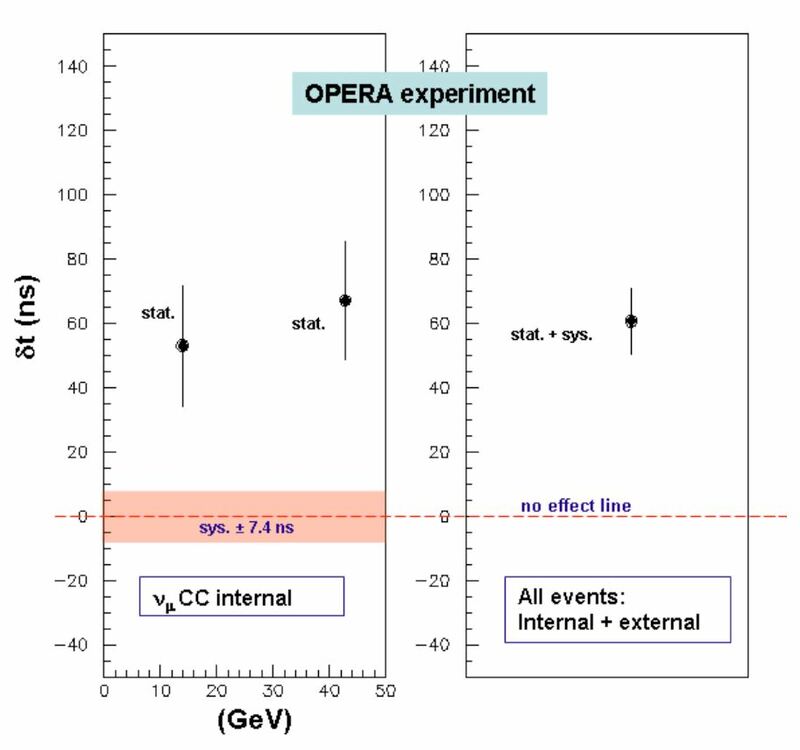 The MINOS experiment wasn’t hyped, but it does tend to validate the CERN experiments (or, more accurately, vice versa). It is important to remember that the six sigma of the 10x more accurate CERN measurement (than MINOS) is about 2 parts per billion, not far off the odds of winning a multi-state lottery. That is, chances are 50/50 that if you had 500 million researchers testing fundamental constants to equal accuracy, you’d get an anomalous result like this overturning some branch of physics every publication cycle that would turn out to be erroneous. And this is why scientists don’t start rewriting textbooks on the first anomalous result, even if breathless journalists try to. Further, it is also important to note that the researchers do not speculate that the neutrinos are actually traveling faster than light in violation of general relativity, even if the experiments can be repeated, rather that Leonard has created a little more work for Sheldon. Both “traditional” relativistic phenomenon and poly-dimensional theories (like string theory) provide a theoretical framework whereby in our observation frame an object moving in a different reference frame might appear to be moving faster than the speed of light in our reference frame, for example, perhaps neutrinos interacting oddly with gravitational time dilation. 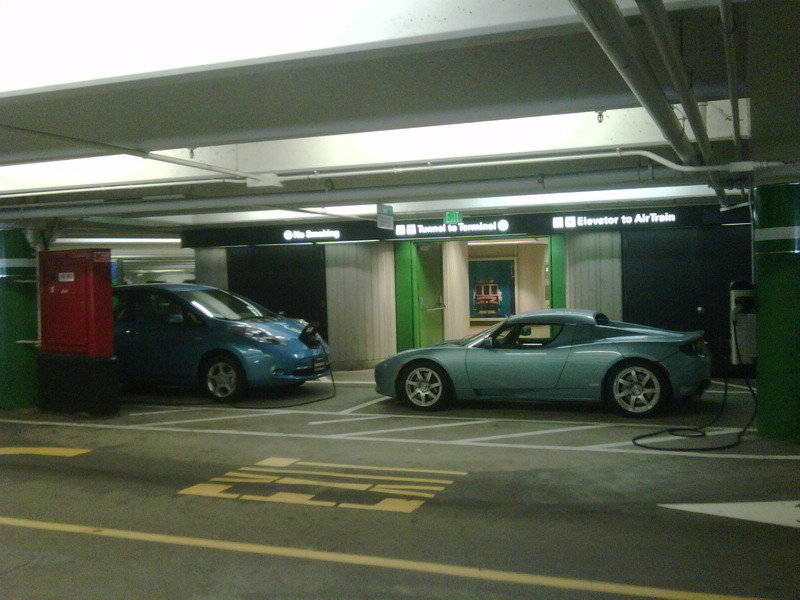 Or, maybe, just maybe, there’s room in the universe for a 0.0051% error: good enough for government work. Or maybe, as Newtonian mechanics described life at human velocities accurately but failed to describe relativistic phenomenon, so too relativity may not be a complete description of the universe. I was searching for something random on Google (no, not that, regular expression examples) and noticed that funny little bar they put up there a while back when Google+ had the world all a-flutter. My little box had a  in it. Hmmm.. A few people I’d never heard of had “circled” me. Nobody I knew. I think I last checked G+ a few weeks ago, maybe it was a month. Oh well, so much for that one. Facebook will eventually do a MySpace, taking everyone’s cleverly crafted content out with it, but G+ won’t be the Facebook that does it. Or something like that. OK, annoying, but not fatal. But what is actually quite tedious is when you search for something slightly esoteric like [“white screen of death” client certificate]. 122,000 results. Whee. Oh, wait, most have nothing to do with client certificates – how can that be? [“white screen of death” “client” “certificate”] yields 367 results, almost all relevant. So for about 121,000 results Google assumes I just accidentally typed “client” and/or “certificate”? Those do not seem like common typos for [ ] (blank). If I went to all the trouble of typing out the words “client” and “certificate” does it not generally undermine the utility of a search function if it arbitrarily decides to ignore any inconvenient terms? I find my self quote-forcing ([“white screen of death” +client +certificate] yields the same 367 results) most of my searches. Since when did my search terms become optional? WTF Google? Search is the one thing you do well. Well, that and advertising. Please don’t break it. Trust me, if you blow search you are not going to make up the difference with Social Networking. Update: I recently searched for a scholarly article to back an assumption that document collections stored in structured databases can be accessed faster than document collections stored in file systems. I used the word “median” rather than “average” in my search, but clever Google knows the two are often synonyms and rather than limit my search to documents that use the typically academic “median,” I got almost entirely useless results referencing various colloquial “average” constructions. in my apache logs. Googling for it, some sites suggested that old php.in files might the cause. But this is a pretty fresh install so I looked a little further and found a nerdstock note describing a similar problem. I checked my /usr/local/etc/php/extensions.ini and finding that extension=session.so came after extension=memcache.so I moved it to the top of the file and the errors went away. 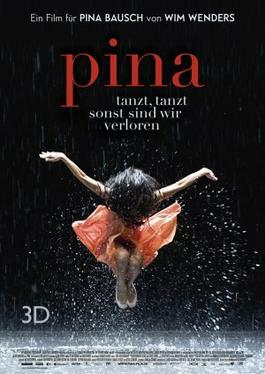 Pina is Wim Wenders tribute to Pina Bausch in 3D. I’m not a big dance fan, not even ballet let alone modern dance, but this was a very beautiful film and I enjoyed it. Wim Wenders introduced the film and told the audience how he had met Pina 20 or more years before starting production and had wanted to make a film about her. For all of those 20 years every time they crossed paths she asked if he was ready to make his film and he said he didn’t know how, but was learning. Wenders said he was quite taken by 3D, specifically U2 3D which he thought was a great name, but more so that the 3D technology used was sufficient to capture the essence of Pina’s dance, and so he began production, but just before production was to commence, Pina passed away. The dancers in her troupe convinced him that he should make the film, that it is what she would have wanted, and so the film is both an beautifully shot document of Pina’s dance troupe and a tribute to Pina. I’ve been involved with 3D film for a long time (going back 16 years I built a stereo rig from a pair of Arriflex cameras for Michael Naimark’s Be Here Now). This was the first time I got to see Dolby’s double-tristmus 3D . The way it works is each projector projects an approximately RGB signal, but with the exact wavelengths of RG&B shifted between them (and not shared). The passive glasses pass only the correct eye’s 3 color wavelengths and reject the rest. Looking through them, one is slightly magenta shifted and one slightly cyan shifted, but you quickly compensate for the slight color error, especially since one eye errs one direction and the other the opposite. If you look through both a left eye and a right eye filter (say by borrowing your neighbors pair and putting them over yours upside down), almost no light passes. The 3D quality of the movie is quite good, better than shutter glasses with less peripheral annoyance. Only very bright highlights (like the glint of lights in a dancer’s eye) exhibited odd stereo artifacts. It is commonly noted that the focal accommodation and parallax accommodation of a stereoscopic projection is very wrong–your eyes focus on the same plane (the screen) no matter what the image displacement is, so your mind gets two conflicting data inputs – one saying “I see 3D” and the other saying “I’m focusing on a plane” and the result is eye strain and often headaches, and this technology is no different. It definitely caused some eye strain to watch it, but the effect was good and overall I’d say worth it.